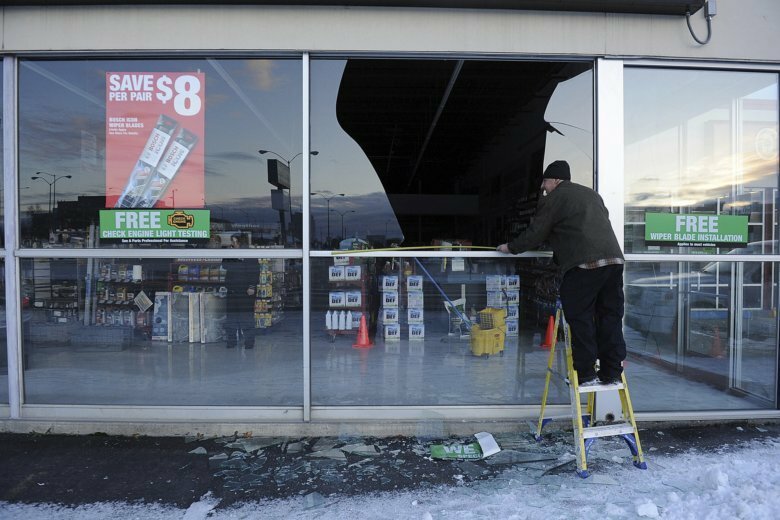 ANCHORAGE, Alaska (AP) — Seven weeks after a massive earthquake rocked Alaska, aftershocks are still shattering 7-year-old Connor Cartwright’s sense of safety. “I feel like the house won’t hold up,” he said. Many of the aftershocks are so small that people don’t notice them, like a recent one that Connor didn’t feel at school — but his teacher made all the students dive under their desks to be safe. The latest big aftershock happened last Sunday — a magnitude 5.0 jolt that flared already frayed nerves and prompted panicky posts on social media. That one “reminded people again that it’s not over yet,” said seismologist Natalia Rupert at the Alaska Earthquake Center. There have been more than 7,800 aftershocks since the main earthquake struck 7 miles (11 kilometers) north of Anchorage, the state’s most populous city. Most were too small to feel, but 20 have had magnitudes of 4.5 or greater. Rupert expects the temblors to continue for months, although the frequency has lessened, from about 200 daily to a couple dozen a day. “It’s overwhelming for people, and they feel emotionally out of control,” said Deborah Gonzales, a licensed clinical social worker in Anchorage. For Connor, every noticeable shake triggers feelings of vulnerability, said his mother, Tamra Cartwright, adding that many of her friends’ children also struggle with quake-related fears. Tamra Cartwright said her husband was at work when the main quake struck, but she and her sons ran out of the house and hugged each other as they huddled together outside. Along with broken family items, the only damage to their home was an existing hairline wall crack that was made wider. But Connor couldn’t sleep in his own bed for weeks and only just returned to it. Lifelong Alaskan Robert Bell was 12 during the 1964 earthquake and remembers it as a rolling action while the recent quake was more of a back-and-forth movement that felt more violent even though it wasn’t as powerful. The recent quake and its aftershocks have been like reliving that youthful experience over and over, Bell said. Bell, who worked in construction for years, built his own home and says it’s safe and solid. But his heart races when the aftershocks hit. “You don’t know when the next one’s going to hit — that’s been unnerving,” he said. They’re also unsettling for Ethel Sechlera. But the Anchorage supermarket cashier considers them a way for the ground to let out seismic pressures. “I’d rather have the little aftershocks to keep from having the big one hit,” she said.